we will always remember that we have been blessed beyond measure. These are the days beyond the stroke of the clock. Midnight has passed. A conversion of carriage to pumpkin allows the true magic of ever after to begin. The slipper and the dance are nothing when held against the eclipse of a dream come true. 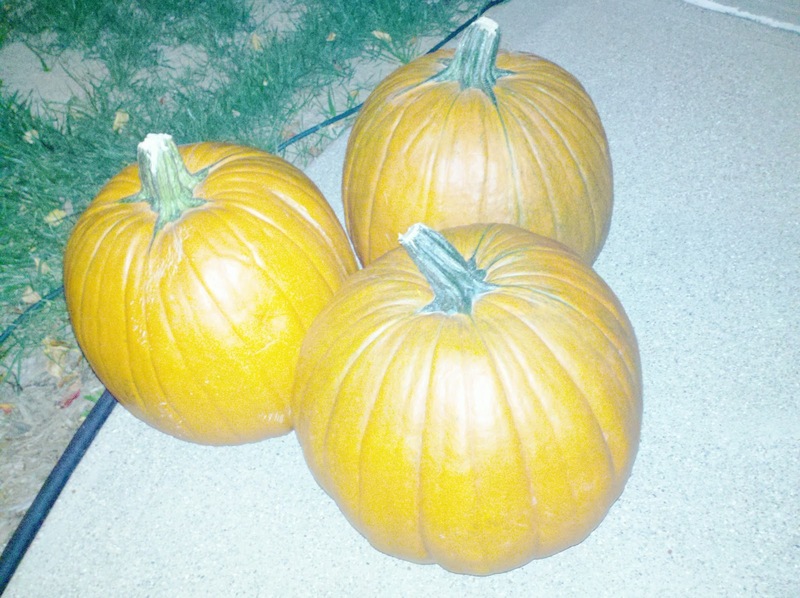 The simple presence of these 3 pumpkins resting in the moonlight cause my world to leap from the realm of Once Upon a Time in a Land Far Away... and consume me with child-like possibility. We are beyond the toll of the midnight bell and we discover the story beyond the kiss. We are now a mere 230 days from our first day as missionaries on the ground in San Cristobal, Guatemala. Our initial reluctance to ask folks for support has grown into a joyful invitation for the people we love to share in this immeasurable journey. It is amazing to see how God has placed us exactly where we can make a difference... even here and now. Our networking with churches across the area has been incredible and has opened our eyes to the beauty of all the followers of His mission that surround us. Year end gifts and placement on 2013 budgets will be opportunity for so many to join us on this path. Monthly giving is the mechanism that powers our engine of faith. Prayer is the air that we breath. I find myself pouring everything I have into this temporary job that I work. The hours are difficult and the demands are heavy... and yet the people and the needs that are here right in front of me challenge me to my core. I find myself having to daily live out the proof of my calling. My co-workers know our ministry... and they seek comfort, counsel, and seemingly even to find some peace when they look our way. Our story is a beacon. They seem to look to us for a glimmer of ever-after type belief. Jesus told us that our light will shine and it can not be hidden. We are finding that to be true. May our light continue to shine brighter than the brightest flash of fairy tale magic. For now I look forward to carving pumpkins with our son and two daughters... these are truly the days beyond the glass slipper. These are the days that will warm our hearts for years to come.